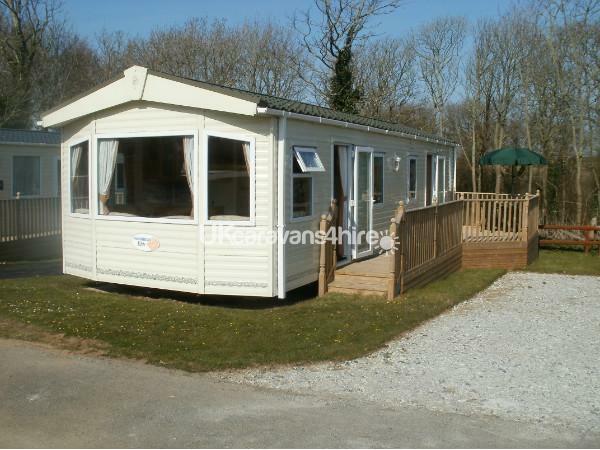 Our 6 Berth, Double Glazed Caravan for hire is located on a south facing plot at Trevella Park, Crantock near Newquay peaceful location overlooking a green and backing onto a wooded area. 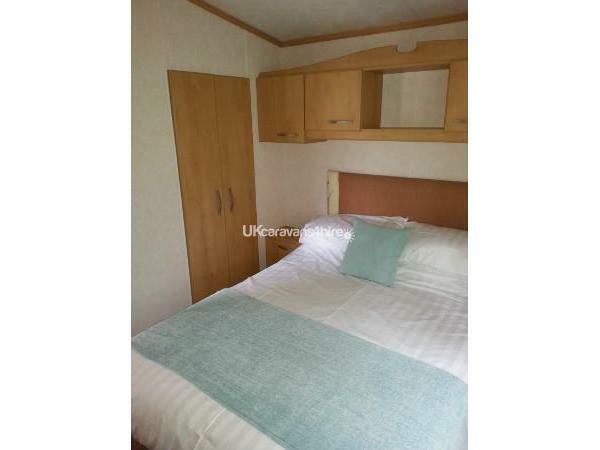 The caravan comprises of 1 double bedroom with lots of wardrobe space, 1 twin room with wardrobe, The lounge area has a gas fire, wrap around sofa, Flat-screen TV and DVD Player with Radio option, The kitchen comes equipped with gas cooker, fridge, microwave, kettle, toaster and all the crockery, pots and pans and utensils you will need for your stay, There is a large step in shower in the bathroom. 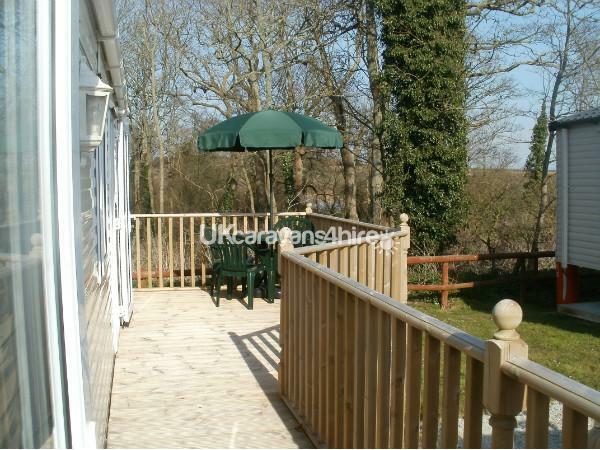 Outside the caravan there is a side decking area with parasol, table, 4 chairs and barbecue. 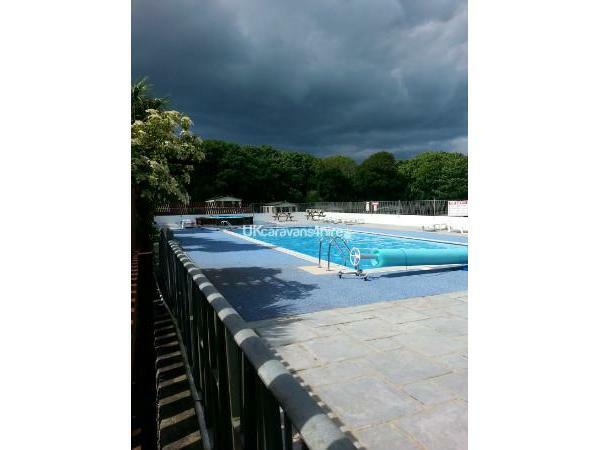 Trevella Park has its own outdoor heated pool, children's pool, children's play area, pet corner, shop, cafe, games room, laundry, two carp lakes, (one being a specimen lake), and Free Wifi for those who need to keep in touch. The village and Crantock beach are a short stunning scenic walk away through wooded copses, fields and a sheltered cliff top walk with gentle inclines. 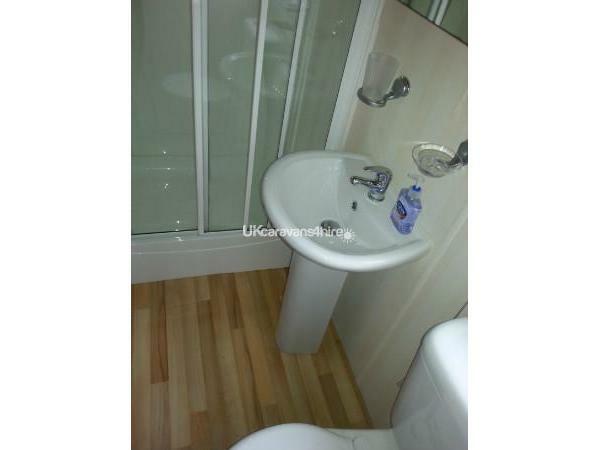 Newquay with its harbour and surfing beaches are approx. 3 miles away, there is a bus that leaves from the park entrance. All attractions such as The Eden Project are within easy reach. Additional Info: Crazy Golf Course, Cafe, Outside Swimming Pool, Pet Corner, Adventure Play Ground, Play Ground, Free Wifi. Thank you for a wonderful holiday, my husband and myself had such a relaxing break while the children were entertained easily on the park in the Swimming Pool, play areas, games room, pets corner and crazy golf. We walked to Crantock Beach one day, this took 45 mins with the children, they loved it, as we walked through interesting woodland paths with rope swings and babbling brooks to entertain them along the way. Treated them to pub meal in gorgeous thatched pub serving excellent food. Next day returned in car to take picnic as beech was white sand and stunning, found a free car park if your national trust in Crantock or a local one for Â£1.50 for those who arenâ€™t members. Morrisonâ€™s Supermarket up road for all food needs and New-quay a drive, bus trip or 1 hour pleasant walk away from Park. 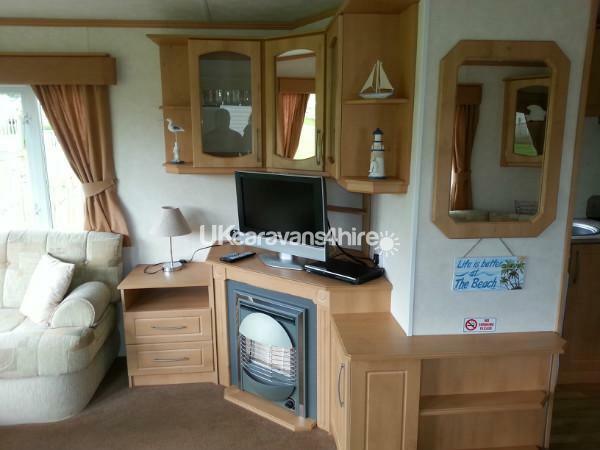 Caravan spacious, well equipped and clean. 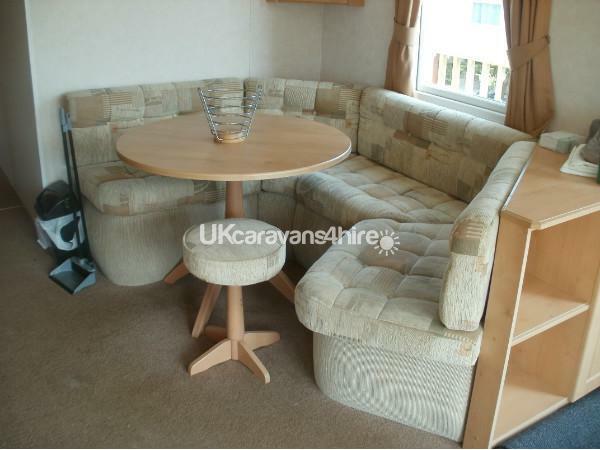 The caravan was spotlessly clean on arrival and had a warm welcoming, plenty of space, feel to it. 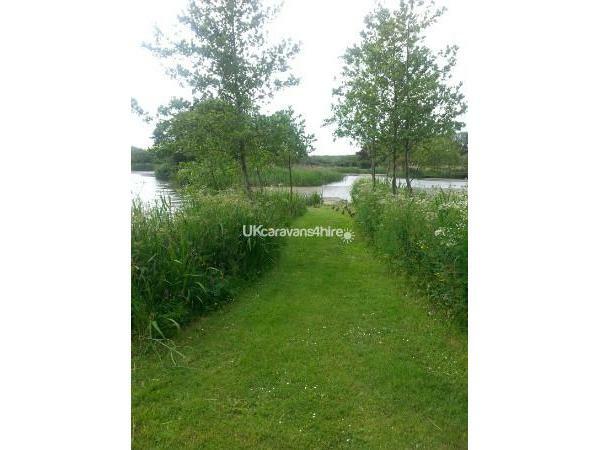 As a couple seeking some down time but with the option of having things to do in the area, this offered the perfect location and accommodation. 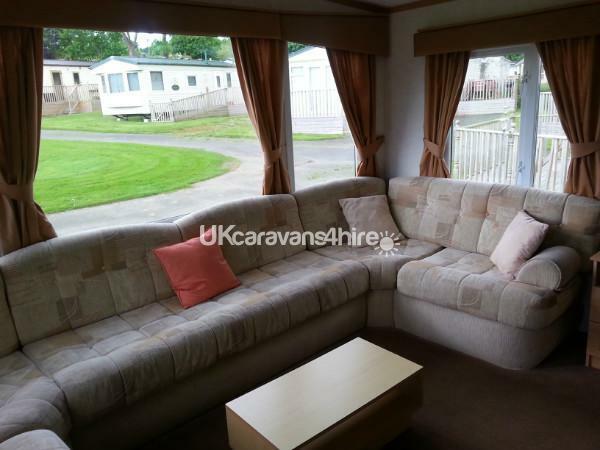 The Trevella Park was very well maintained with lovely flowers and mature trees, the plot that the caravan was on was spacious with the main seating area overlooking a central green and the rear bedroom overlooking a wooded area. The decking offered a great outside area to enjoy a glass of wine and a bbq. 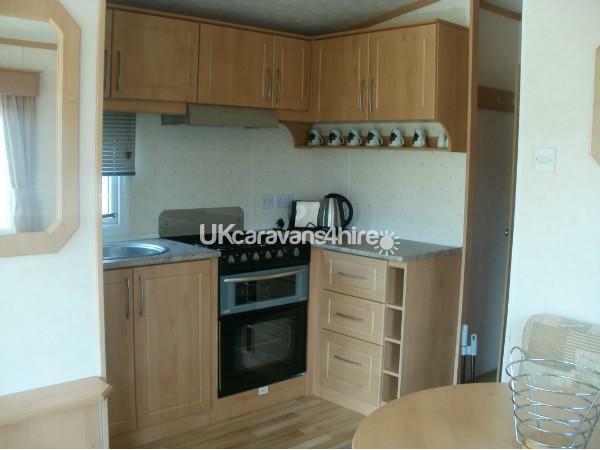 The kitchen was well equipped and had everything you needed if you wished to cook a hearty meal or prepare snacks. 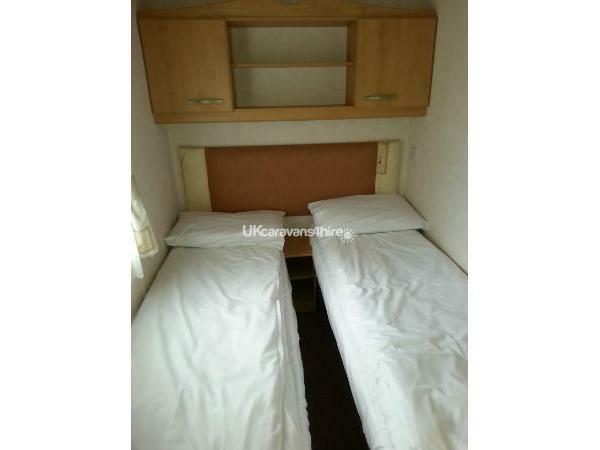 The master bedroom was large and spacious with plenty of cupboards and the beds were very comfortable with new mattresses. 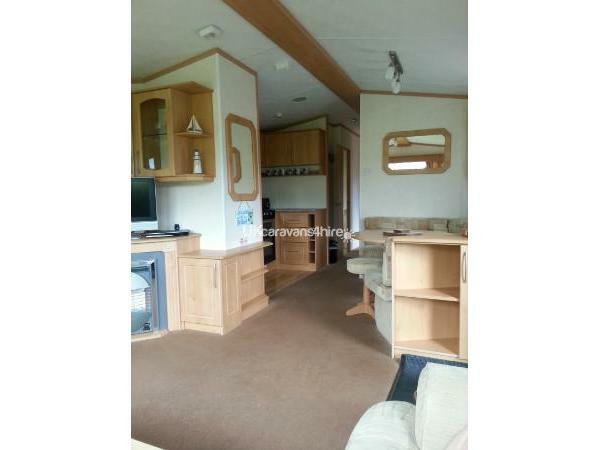 We have stayed in caravans before and this was our favourite offering a superb layout and lovely modern bathroom and power shower. The Park and location excelled our expectations with fishing lakes, including a specimen lake and tackle shop, along with crazy golf and a really nice warm outside swimming pool. We also were in walking distance (approx 2 miles) through woodland and a lovely hill top / cliff top walk with gentle inclines and stunning views to a couple of pubs and tea shops in a beautiful village called Crantock. There is a bus service and taxi service to local areas if you donâ€™t fancy the walk. We will be back, gem of a place. Thank you pool.